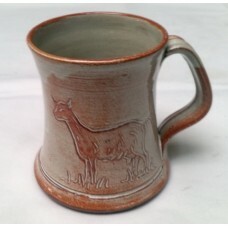 A handmade pottery mug, with a Golden Guernsey Goat on the side. Especially commissioned for the GGGS, in the same style as the Pottery Jug. Makes a fine set when combined with the Pottery milk jug.